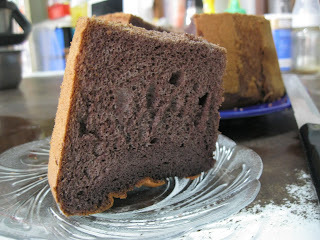 Once i see the chiffon cake at Wendy blog.I start to look for black glutinous rice flour.I remember i have see black glutinous rice flour before.But i can't remember where.So i find everywhere.From Jusco to Mydin,from bakery shop to mini market also can not find.Suddenly i remember.....Yes....at Giant.I saw it at Giant before.So i ask my colleague buy for me.Finally i can try this chiffon cake. 2. Mix egg yolks, sugar and oil together. Then put in coconut milk and salt. 4. Beat egg whites until frothy, put in cream of tartar and beat until soft peaks. Add in sugar gradually and beat until stiff. 5. Fold ¼ of egg whites into the batter. Repeat with another ¼ of egg whites. 6. Pour batter into remaining egg whites and fold until well combined. 7. Pour batter into a clean pan and bake for 40-50 minutes. 8. 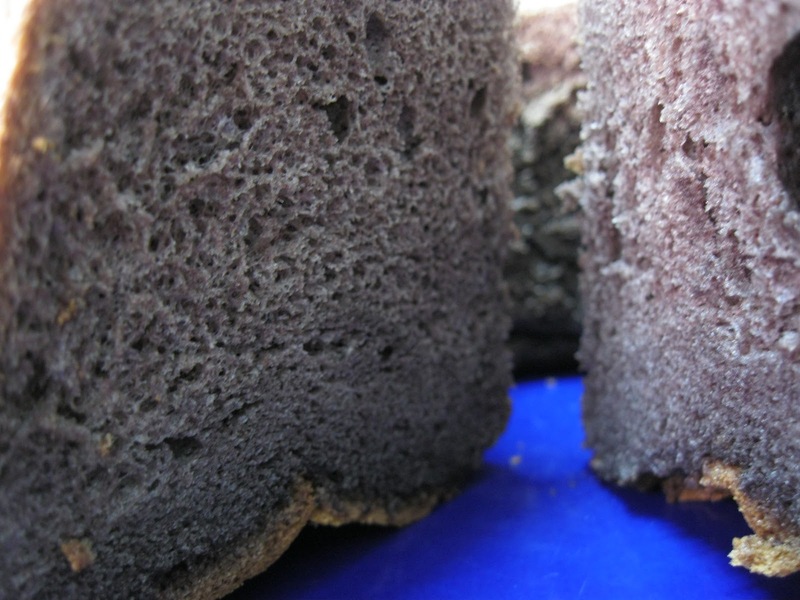 Remove cake from oven immediately and invert to cool down totally. 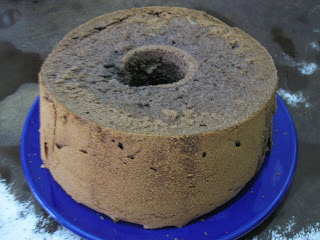 Christmas is coming soon......This year my cousin say she having a steamboat and bbq party at her house on 24/12/2011.She ask us to prepare present for exchange present.Can't wait.....Sure very fun....Plus it also my two cousins birthday.One of my cousin sister request for swissroll or chiffon cake for her birthday cake.Because she like soft cake.But i told her i want make christmas fruit cake.She beg me to make one cake for her....So i still thinking want to make swissroll or chiffion. 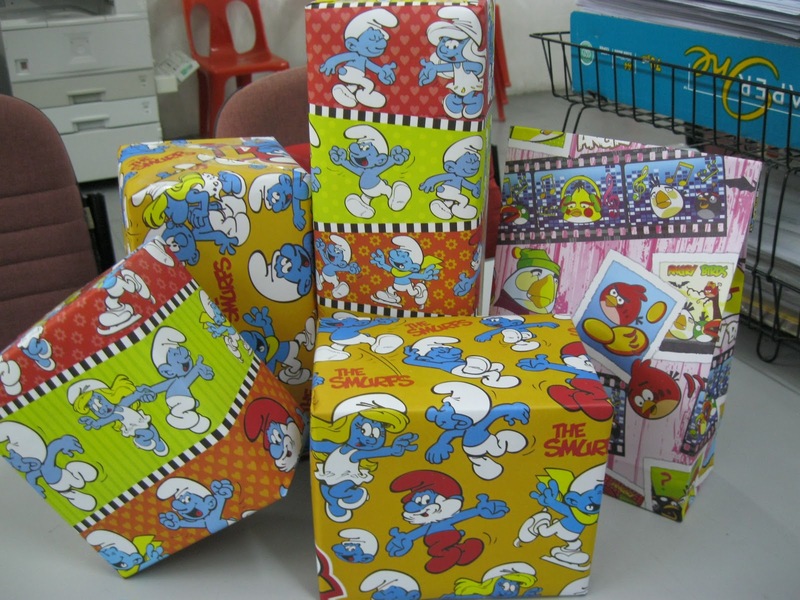 Present for exchange on 24/12/2011. Eh, how was this? Tasted ok to u? 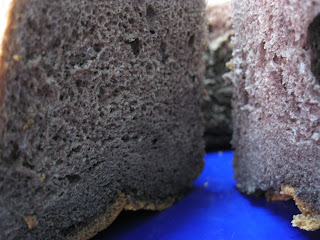 taste very good.can taste the black glutinous rice after the one day.i like it very much.